As with any financial decision, getting accurate and insightful advice can be difficult. Several people all have a different take on any situation, making it tough to get to the bottom line. The first step is to bring your vehicle in. 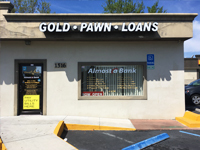 When you stop by one of Auto Pawn’s three convenient Volusia County locations, our qualified and professional agents will first assess your vehicle’s value, based on a multi-point evaluation process. A common misconception is that you must have perfect credit to get a vehicle loan. That’s simply not true. We’re more interested in the actual value of your vehicle. Since your vehicle is collateral on the loan, your credit score and history doesn’t even come into play. While others make you go through an embarrassing credit check, our deals are always made with integrity and respect in mind. If you have a clear vehicle title with your name on it, you could get cash fast. You may have heard that interest rates on vehicle title loans are always high. Again, this is misinformation. Interest rates vary depending on many factors. We’ll work with you to get the best deal possible based on the value of your vehicle. Another myth is that the approval process is longer and more involved than other places. Actually, approval usually takes about an hour. When you bring your vehicle in ready for inspection and have the necessary accompanying documentation, you could be walking out with cash in hand in no time. As previously mentioned, the value of your vehicle is what’s most important. 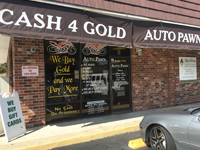 At Auto Pawn, we deal with many vehicles: from cars, trucks, boats, RVs, motorcycles, and more. You can borrow up to $100,000 based on the appraised value of your vehicle. Aside from a clear vehicle title with your name on it, there are very few eligibility requirements. Call or visit to speak with one of our knowledgeable representatives, who can answer any questions or concerns you may have. Many people take the false impression that pawning a vehicle is somehow less safe than selling through another method. Nothing could be further from the truth. In fact, the industry in Florida is highly-regulated. 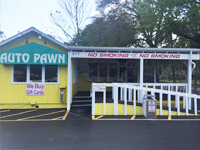 Auto Pawn is fully licensed with the state, just like any other business. Every lender has different methods of giving out loans. Our rates are competitive and fair. We don’t have any hidden fees or surprise terms. Our process is fully transparent and thoroughly explained throughout. When you need cash fast and are ready to get the maximum value of your vehicle, contact us to get started.